Outstanding fiction published during the year that merits special attention from adult readers. 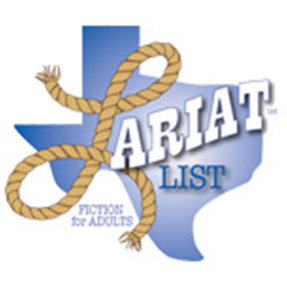 Since 2009 the goal of the Lariat Adult Fiction Reading List has been to highlight outstanding fiction that is simply “a pleasure to read.” Each year a 25 outstanding fiction titles are selected by a nine member committee. Each year, authors from past and current lists are invited to speak at the Lariat List Adult Fiction Author Luncheon held at the TLA Annual Conference.